Place ham slice in a shallow baking dish. Pour maple syrup evenly over the top. Bake for 35 minutes, basting occasionally with juices. 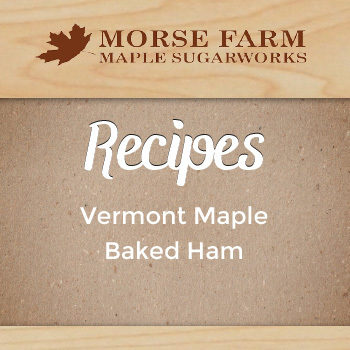 Try maple-glazing larger hams, following package directions for preparation. Glaze with ½ cup syrup per 5 pounds. You’ll never serve plain ham again!